Family cemeteries, no. 6: another Artis brother. | Scuffalong: Genealogy. Family cemeteries, no. 6: another Artis brother. – Scuffalong: Genealogy. Family cemeteries, no. 6: another Artis brother. 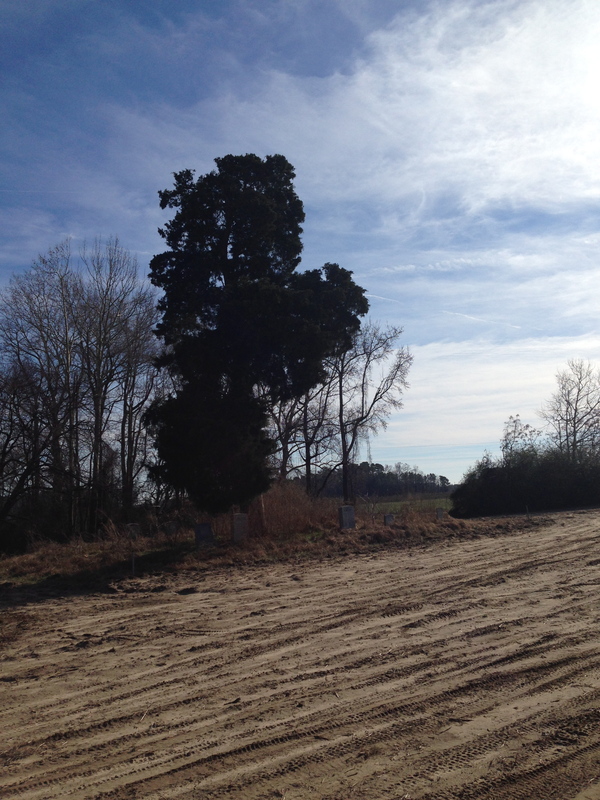 Just south of Eureka, I crunch slowly up a gravel driveway toward a large, modern house. Three dirty-blond boys, alike enough to be brothers, stop their play in the garage to stare. I halt and ask permission to cross a small field to a cemetery marooned on a little island in its midst. They nod assent and return to their pastime, hip-hop blaring behind them. A lounging Rottweiler pays me no attention; a beagle mix wags greetings and accepts a head pat. 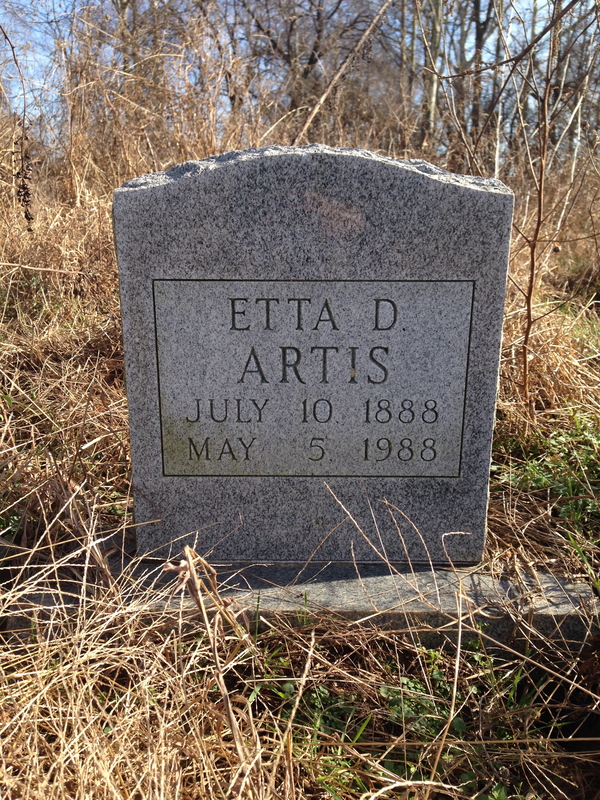 I traverse perhaps 75 feet of damp soil to reach the hammock that holds the remains of William M. Artis and his family. 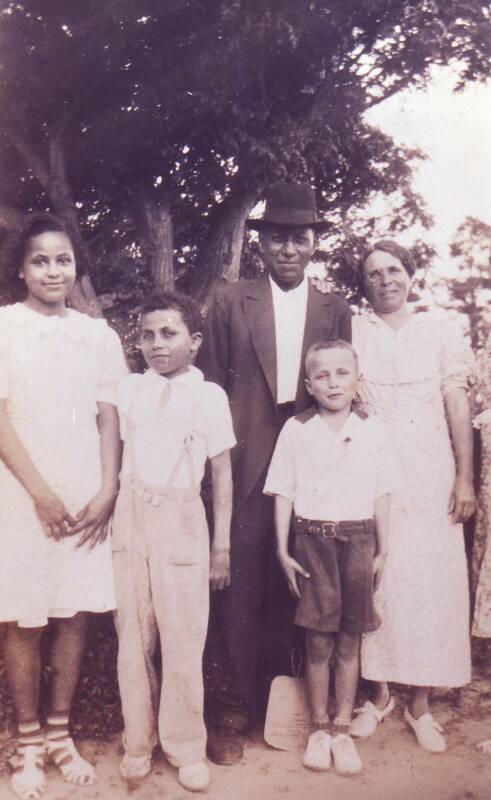 William and Etta Diggs Artis and children Doris, Tom and Elmer, mid-1930s. 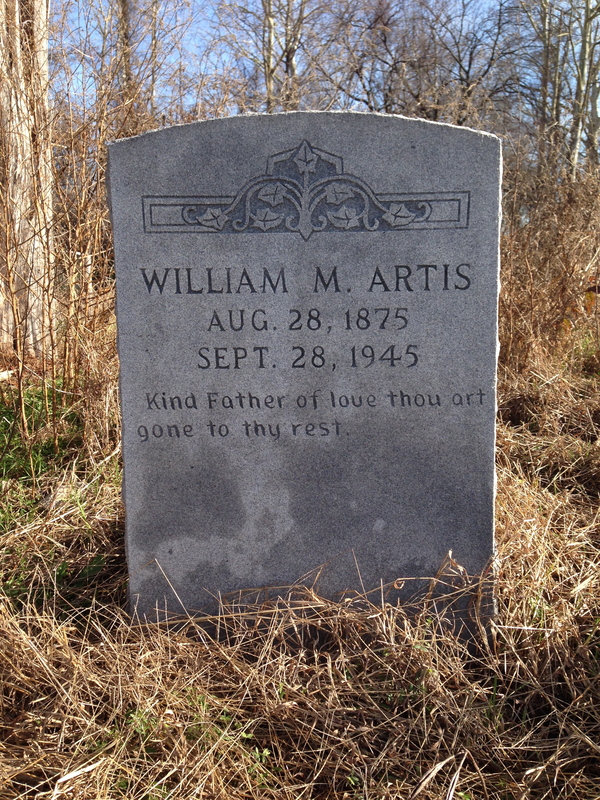 William, son of Adam T. Artis and Frances Seaberry Artis, was in his 30s when he married Etta Diggs (1888-1988), daughter of Margaret Diggs and an unknown white man. 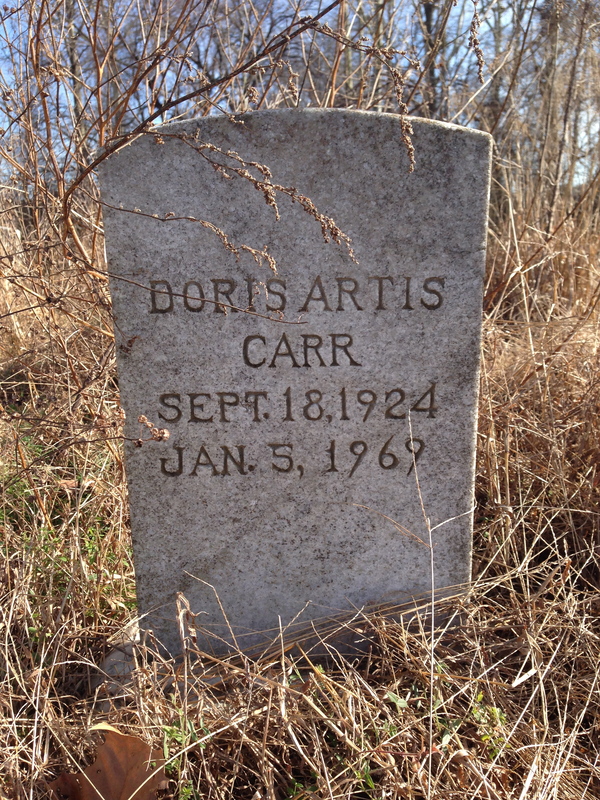 Margaret Diggs was the daughter of Frances Artis, born free around 1842, and William Diggs. 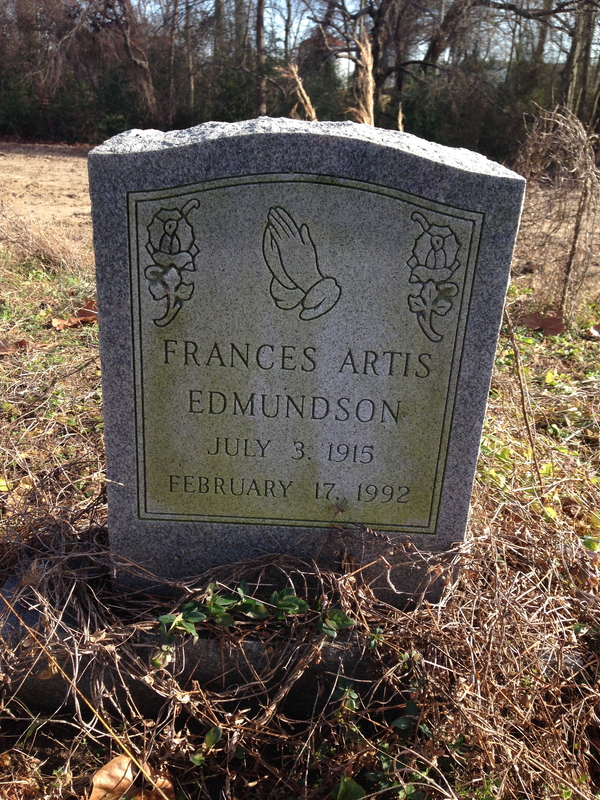 Frances Artis’ parents were Celia Artis, a wealthy free colored woman, and, reportedly, James Yelverton, a white man. Celia Artis was not related, at least in an immediate way, to William’s father, Adam. 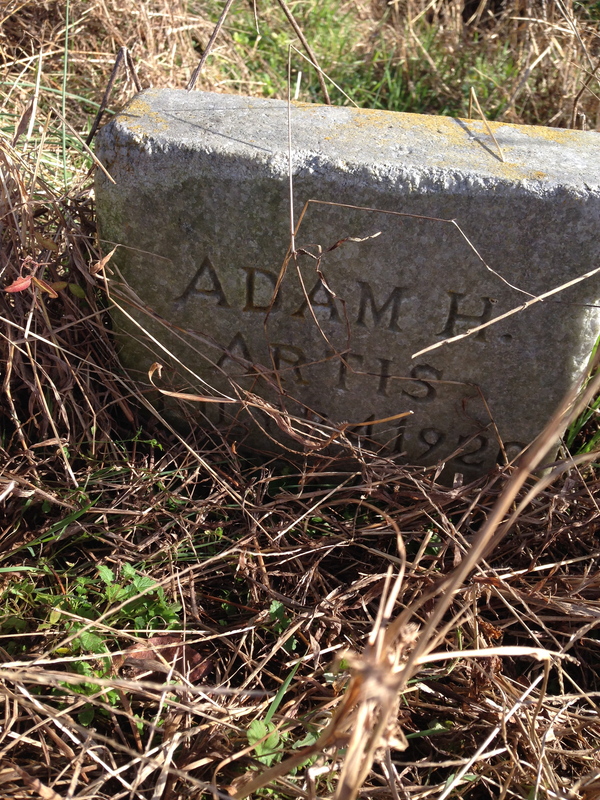 It’s hard to tell below, but the William Artis graveyard is completely encircled by plowed land. It’s in tolerable condition. Weedy, but it’s clear that it is periodically mowed. 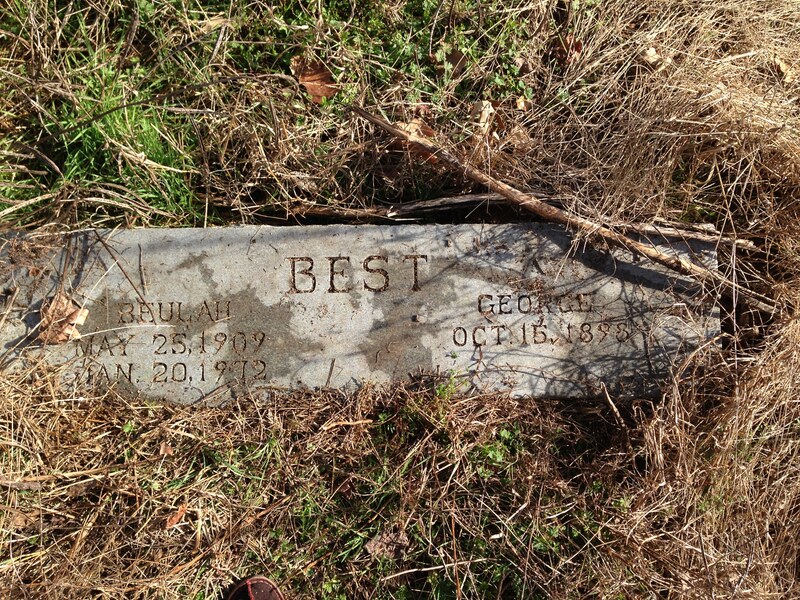 Others buried here include Frances Artis Edmundson‘s husband John H. Edmundson; Beulah Artis Best‘s husbands Leslie E. Exum and George Best; Leslie Exum’s mother, Ada Artis Exum Rowe, who, as the daughter of Jesse Artis and Lucinda Hobbs, was William Artis’ first cousin; and William and Etta’s daughter Margaret Artis Thompson (1910-1981) and her husband, J. Leslie Thompson. This house stands in front the graveyard, facing the road. Was it William Artis’? 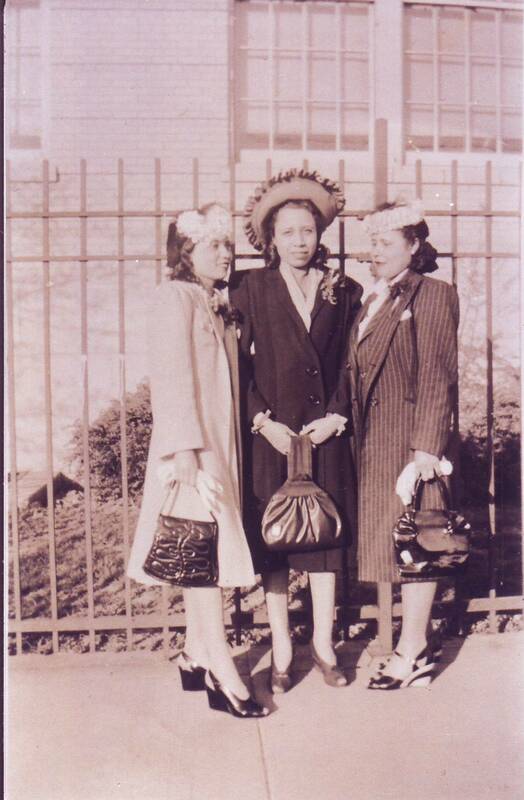 Beulah and Margaret Artis on either side of their cousin, Helen Carter, probably 1930s. Helen’s mother, Beulah Aldridge Carter, was their first cousin. Copies of old photos courtesy of the late Dorothy Carter Blackman; others taken by Lisa Y. Henderson, December 2013. ← John C. Allen and Whittaker Memorial. 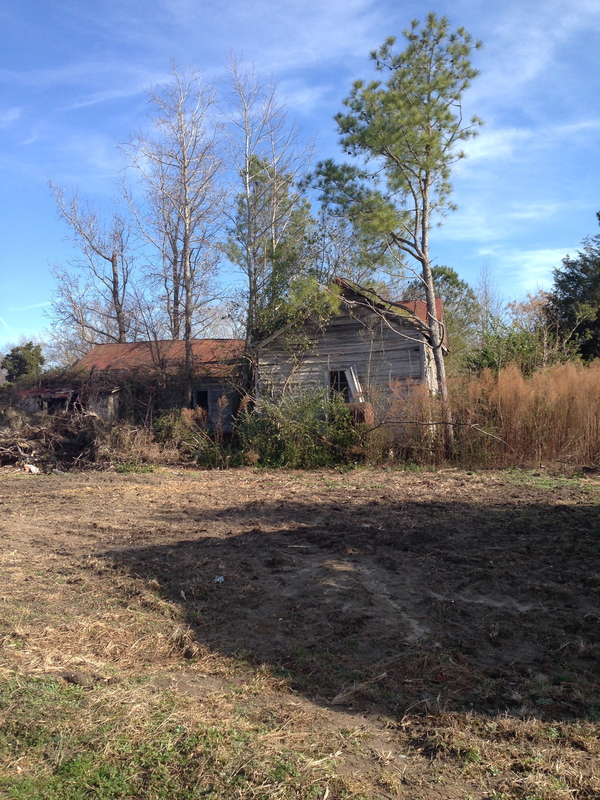 Pingback: 68 acres on Turner Swamp. | Scuffalong: Genealogy. 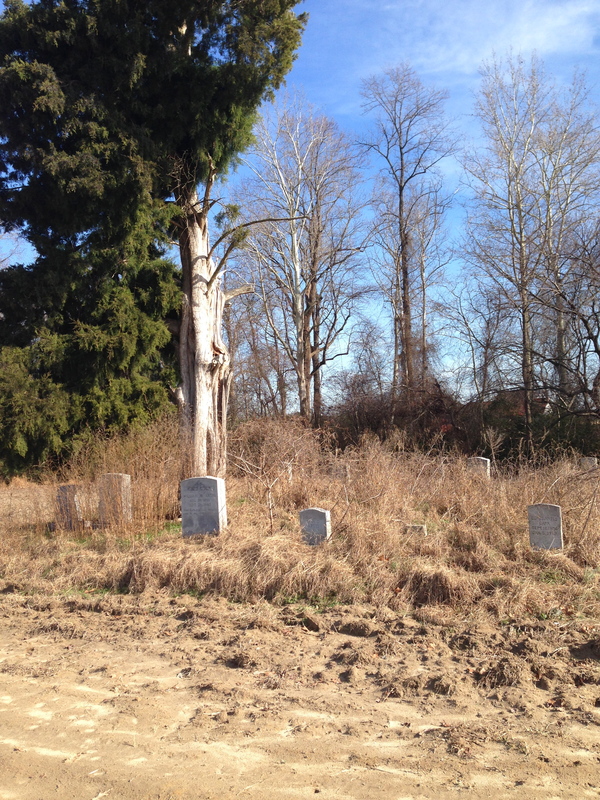 Pingback: Cemetery palimpsest. | Scuffalong: Genealogy. Pingback: Maybe he might redeem it. | Scuffalong: Genealogy.